Born on this date in 1899 (when it was a Tuesday), Redvers was the younger of the Green brothers who played in the early NHL; Wilfred was three years older. They were Sudbury boys who started out skating for their hometown Wolves before they found a way into the big time in 1923 with the Hamilton Tigers, where they were known, respectively, as Red and Shorty. Red (pictured here, for some reason, on bare concrete) played on the left wing, Shorty on the right. Shorty was team’s captain in 1925, and he was at the fore when the players went on strike at the end of the season. 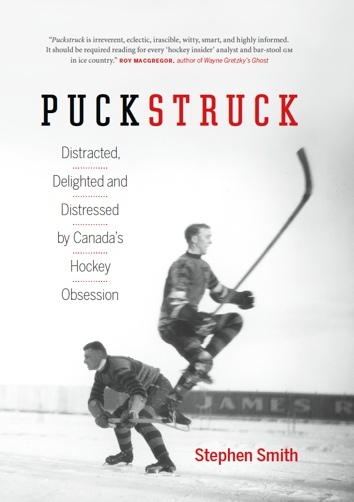 They didn’t get the money they were angling for; instead, the NHL suspended the team and saw it sold to buyers in New York. Most of the former Tigers ended up there the following season, repackaged as Americans in star-spangled red-white-and-blue uniforms like the one Red Green is styling here. Shorty ascended to the Hockey Hall of Fame in 1963. 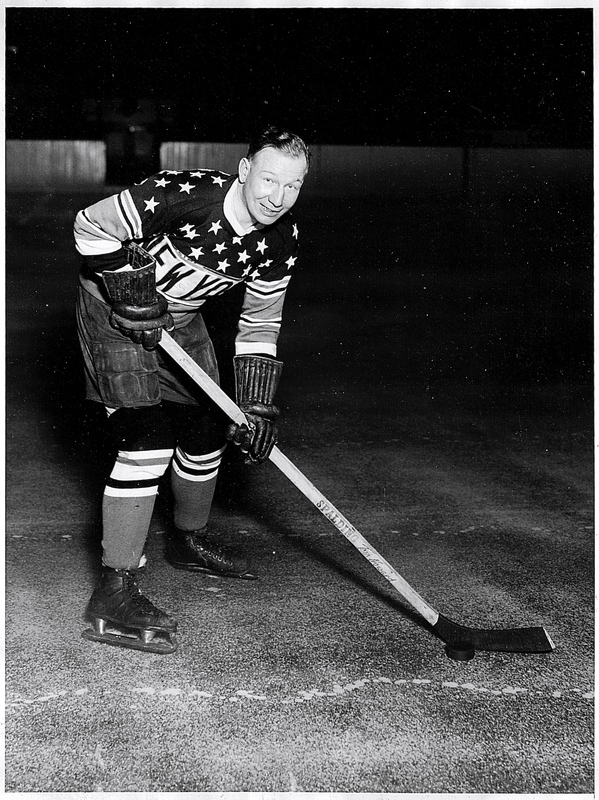 For Red, his best night was back in Hamilton, in December of 1924, when he scored five goals on John Ross Roach of Toronto’s St. Patricks. “The little fellow from the northland was tireless,” said the papers next day. Also: “Goalkeeper Roach never had a chance. These fleet Hamilton players were merciless. They just naturally beat the defense with the greatest possible ease, and when they let the puck go there was a zip and a sting behind it that spelled goal.” Final score: 10-3.